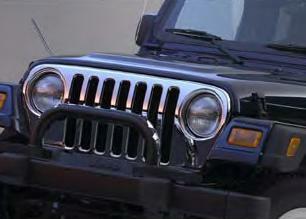 Give your Jeep Wrangler's front end a unique and custom look. Chrome grilles and front end appliques help enhance vehicles aesthetic appeal. All parts are designed to meet Chrysler standards for durability.